Belgrade is the capital of Serbia and the largest city in the country. Belgrade has many green places to visit with plenty of plants, interesting museums and historical places, which are worth visiting. Its architecture influenced by Byzantium and Ottoman with impressive neoclassic buildings in older neighborhoods and a more modern style in New Belgrade. 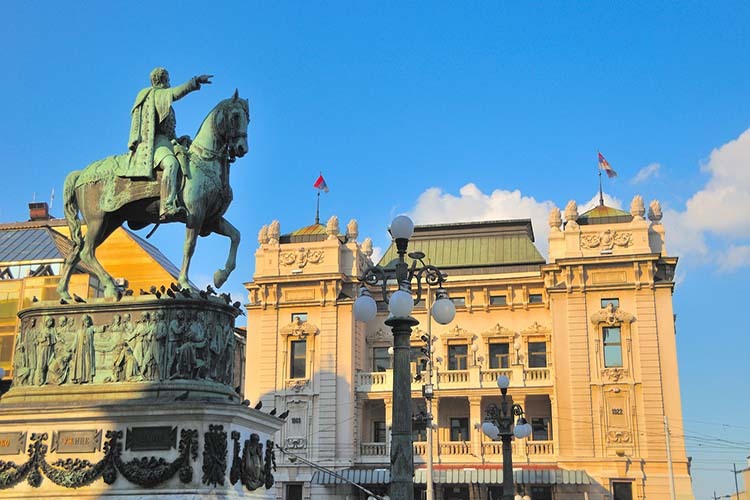 In Belgrade you will see many museums, monuments and opera houses to visit that proves its cultural life. Belgrade city, has also many beaches and rivers where you can swim and rest and even more nightclubs for you to have fun in. This city is famous for having fun with many party – goers prefers this place for nightlife. At night Belgrade becomes the party capital with its underground bars and open-air cafes. One of the most popular building in Belgrade is Church of Saint Sava, and also the largest Orthodox Church in the Balkans. If you want to visit Belgrade, should definitely visit Mikser House, a sort of “jack-of-all-trades”, an urban boutique, a prime spot for the most entertaining events and concerts. You also should not miss visit the place “The Victor of Kalemegdan”, the most recognizable landmark , a 14 meter high monument and the most famous Belgrade attraction at the Fortress. More and more attractive places and rage activities to see and do, waiting for you to visit in Belgrade city. So make a book now at a hotel in Belgrade. If you want to spare your time in famous Belgrade, do not waste your time. Use our online booking services for Belgrade and make memories that you take back home and never forget. If you already found the dates of your trip, book your airtickets and get ready for a unique experience in famous Belgrade.